The freshmen continue to impress for Miami. 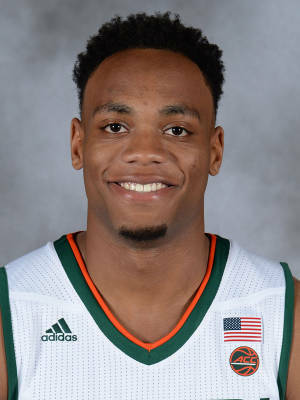 Guard Bruce Brown posted just the second triple-double in UM history, and guard DJ Vasiljevic scored a career-high 17 points to lead the Miami Hurricanes to its third consecutive victory 82-46 in a wire-to-wire rout of the South Carolina State Bulldogs on Tuesday night. Head Coach Jim Larrañaga did just that, and Brown was able to get his 10th assist on a pass that led to a Vasiljevic three-pointer with 2:59 left in the game. The shot gave Miami a 39-point lead, its largest during the game. In what has become a trend over the last few games, the Hurricanes stormed out of the gate running against the Bulldogs. The Canes turned fluid ball movement into good shot attempts, as the team started the contest on an 18-0 run. It didn’t get any closer from that point. Miami hit the glass hard with 16 offensive boards, consistently claiming second, third and even fourth chances to score. South Carolina State did what it could to try to claw back into the game, shifting from man-to-man defense to a 2-3 zone with about 12 minutes left in the half. The Hurricanes adjusted, exchanging open layups for open threes, five of which came from Vasiljevic. Seven different Hurricanes scored in the first half, capped off by sophomore guard Anthony Lawrence’s buzzer-beating three to bring the score to 42-14 heading into the locker room. The start of the second half was much more competitive. SC State leading scorer Eric Eaves began to hit shots, including a drive-in layup and a three, leading to a team-high 14 points. Still, Miami maintained control of the game. The team made its statement on a highlight transition play in which freshman forward Dewan Huell stole the ball and pushed it up the floor to junior guard Ja’Quan Newton, who lobbed it up to Brown for a two-handed flush. The Canes veteran starting backcourt of Newton and senior guard Davon Reed again played efficiently, combining for 26 points and 11 assists on 10-15 shooting to complement the performances of the freshmen. The result was a comfortable second half, as 11 players saw the floor in the rout. Miami has a bit of a break before it gets set to play FAU at 7 p.m. on Dec. 16 at the Watsco Center.